We are a leading Manufacturer of gf 20 rebar ring making machine, tb28d rebar ring making machine and gw 20 rebar ring making machine from New Delhi, India. Our expertise enables us to manufacture a broad range of Rebar Ring Making Machine that is made available in various specific options. Commonly, this is utilized in bridges, tunnels, and another giant. Manufactured by making use of modern technology and quality assured materials, this is widely cherished by our clients due to its robust design and high performance. Furthermore, this Ring Making Machine can be availed from us in within the given time frame as per the clients' choice at industry leading price. 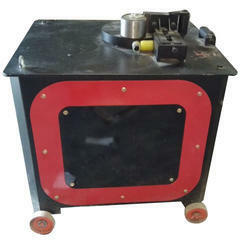 TB28D Rebar Ring Making Machine has a long service life and available with various latest designs. We deliver our assignments using proper packaging standards. 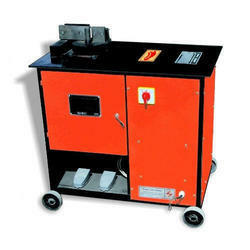 Our offered Ring Making Machines are highly appreciated in the market. 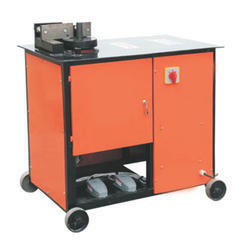 Moreover, the offered Ring Making Machine is extensively used in industrial applications.